The San Jose Sharks made quick work of the Anaheim Ducks, sweeping their southern foes in the first round of the Stanley Cup Playoffs. The next round likely won't be so easy. The Sharks will play the upstart Vegas Golden Knights, the expansion team that is breaking records across major professional sports. Vegas, which won the Western Conference during the regular season, swept the L.A. Kings to advance. Early asking prices on the secondary market for the matchup reflect the enthusiasm surrounding the series, which will start next week. According to TicketIQ, the average asking price for the series overall is $464 and tickets at San Jose's SAS Center are sitting at $334. That is more than double the $161 average price for a Sharks home ticket in the opening round. It's also $103 more than price at for 2016's second round series in San Jose ($231) and $91 higher than their second round series in 2013 ($243). 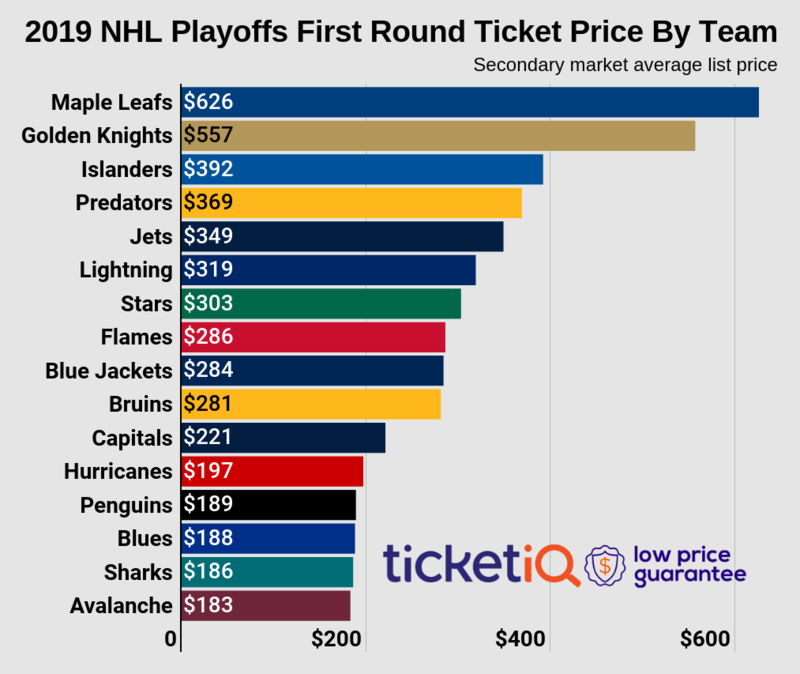 To put things into perspective, the price of a Sharks ticket for the opening round was the lowest among NHL teams. Though the rest of the field has not yet been set, it's unlikely that a Sharks ticket will be at the bottom of the heap for this round. It is likely that Vegas as the opponent is helping to drive prices and this series could be the start of yet another West Coast rivalry for the Sharks -- Las Vegas is just a relatively short airplane flight (and frequent destination) for Bay Area residents. The Sharks will host a minimum of two games, with the possibility of hosting an if-needed Game 6. That game currently has the highest average asking price at $422.50. Game 3 is the least expensive at $288 and Game 4 is in the middle at $293. Overall, the San Jose home games are significantly less than the current average asking price for games in Vegas, which is $560. For fans who want to see the Sharks play at home, the get-in price for Game 3 is $110 and, Game 4 is $114. Availability of tickets on the secondary market is somewhat limited as well -- there are currently 840 tickets remaining for Game 4, 825 for Game 3 and 728 for Game 6. The Sharks, an expansion team in 1991-92, have qualified for the post season every year but one (2014-15) since 2002-03. They reached the Stanley Cup Finals for the first time the following season, losing to Pittsburgh in six games.